If you feel like moving the mountains and conquering new heights, January 5, 2015 is your day. Your every endeavor will yield fast results and you'll enjoy everyone's utmost support. The morning hours will encourage you to act; the afternoon and evening hours will help you along. . Excessive activeness is out of place today. Don't expect it from anyone. You may end up spending the day alone or completely focused on a list of selected items. Many Rams will find themselves trapped in a vicious circle of memories. You can't act, but you do have wonderful emotional support and safe rear. Taurus can safely build plans for the future. If you want to make your goal closer, try to play desired scenarios in your mind or have them discussed in detail with someone you trust in the informal relaxing surrounding. This is a wonderful day for spending time with your old friends. Empty fantasies will not get you where you want to be. If you are after something, come up with a detailed plan of actions. Take your time: on January 5, 2015 you have a chance to devise a clear plan which will account for all incoming data and every possible way for things to develop. Cancer's positions are solid and here to stay. Nothing can make you lose ground under your feet. You are respected by others, cared for by your children and loved by your significant other. Your influence may spread onto those who live far away or those who didn't care for your feelings before. Don't give up, Leo! The vicious circle of problems that you temporarily found yourself in will only make you stronger. Learn your lesson and systemize the experience you've received. Pay attention to the underpinnings of the events. This is a good time to practice spiritual self-discipline. The day will prove favorable for those Virgins whose amorous/marital relations have settled into a normal routine. Your mutual attachment will help you guess each other's wishes without words and to an observing eye you will look like an ideal couple. If things are different for you, employ your intuition and try to better understand your feelings. Dreams can come true and today Scorpio will see it for itself. Just lose your typical skepticism and simply believe in miracles. Set your imagination free, but stay realistic. This is a wonderful day for being creative, having a date or going on a trip. If your personal relationship is perfect, don't rush its formal part. Sagittarius should accept the gifts of life even if they are different from what the Archers were picturing in the past. It is not advisable to make new friends, to look for new students or recruit new confederates. It's your family, your countrymen and colleagues who you should strive to impress first and foremost. 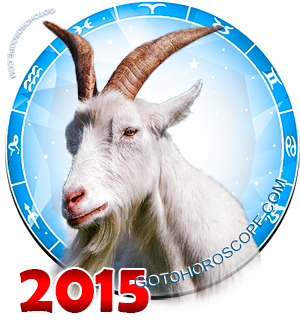 On January 5, 2015 it is Capricorn's intuition that prompts its activities and life tempo. This doesn't mean, though, that you are completely free. You are auto piloting your moves in accordance with the usual behavioral routes. If you are a true Goat, you won't lose a chance to make progress in your plans. Aquarius is quite good at solving its financial problems by turning to its gut feeling. But if you do decide to go shopping, be sure to make a list of things to buy beforehand. Don't be afraid of upsetting the balance - it will soon be restored. Today good luck is knocking on Pisces' doors. This is a perfect moment to enjoy life. Every new turn of events will prove abundant in pleasant surprises. Even the harshest of the critics will have to recognize your talents and achievements. Why there are 11 months instead of 12? Capricorn and Aquarius are wrong!